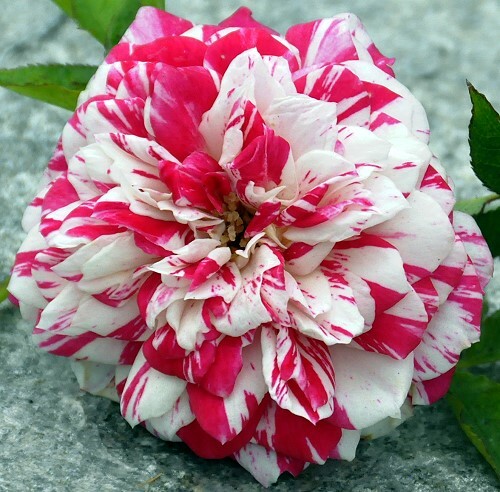 One of the most striking miniature roses, Twister roses are like snowflakes; no two are ever the same but they are all amazing. Originally called a climbing rose, it doesn't really climb. It is just tall for a miniature rose. That just makes it better because the bigger it grows the more perfect little roses it makes. 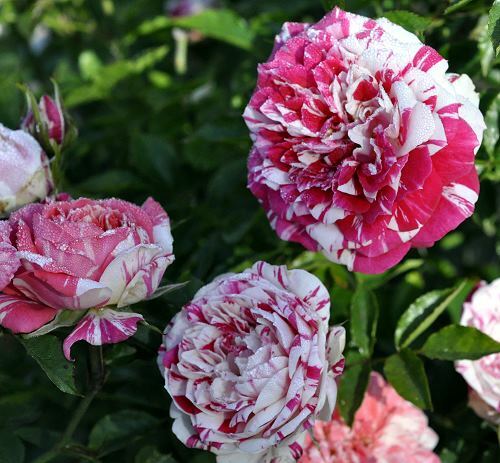 Twister and Strawberry Swirl are the only two miniature roses that we carry that have a slightly sweet fragrance. Like all roses, miniature roses are sun loving and fairly drought resistant. Plant in well drained soil and fertilize with an organic fertilizer in the spring. We prune out dead canes whenever we notice them and shape the plant to the height and width we want in fall. All rose petals are edible if grown organically and make attractive garnishes for salads. They can be added after cooking to almost any dish. Whole buds can be used to decorate cakes or other confections. Sample buds should be pulled apart and inspected for insects before using on food.